Sea kayaking is the best way of exploring some beautiful places that otherwise are often difficult to access. Mallorca is one of the best Sea kayaking destinations all year round. Its coastline offers plenty of awesome sandy beaches, towering cliffs, crystal clear waters... everything in a mild temperature, we strongly recommend spring and autumn for sea kayaking. 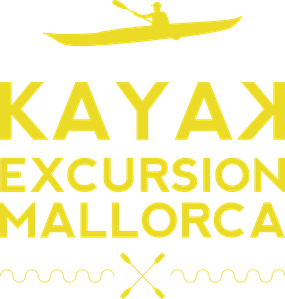 Kayak Excursion Mallorca guided trips for advanced and intermediate paddlers are designed to facilitate you to explore and discover the best spots in the island. We provide you advise for accommodation, so that you can easily join us on our all day trips. We would pick you up if it is needed. We offer you a complete Sea kayaking experience, going out kayaking everyday to a different spot and coming back to the place where you stay at the end of the day. You can also book an overnight multi day trip from April - June and September-November. Equipment provided: Sea kayak, buoyancy aid, paddle, spraydeck, cags, waterproof bags, bildge pump, mat, canvas, cooking stuff. Minimum 3 people required and maximum 7. Minimum 3 days. Prices vary according to individual requirements. For further information and rates please do not hesitate to contact us.